There is no better value in Class C motorhomes than the popular Minnie Winnie.® That is because only the Minnie Winnie can offer Winnebago’s legendary construction at such a friendly price. Winnebago offers flexible sleeping spaces to accommodate your whole family along with a large rear trunk for all of your gear. Give it a try and you will see big value in the Winnebago Minnie Winnie. 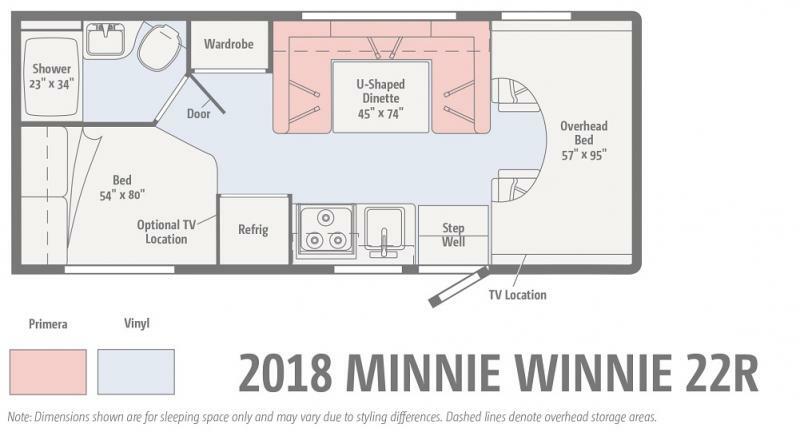 Contact Affinity RV for details on our 2019 Winnebago Minnie Winnie 22R and start your RV dreams today!